The Critter Knit-a-thon 2004 drew to a close the Saturday before last, and I got my critter blankets postmarked just in time. I have quite a bit of yarn odds and ends waiting to be used, so eventually I’ll make more and donate them locally through the Hugs for Homeless Animals Snuggles Project. Pattern: None. All single crochet with a single crochet border. 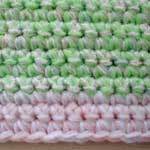 Yarn: Body: three strands held together–two strands of pastel variegated baby pompadour, brand unknown and one strand of sport-weight bright pastel green, brand unknown. 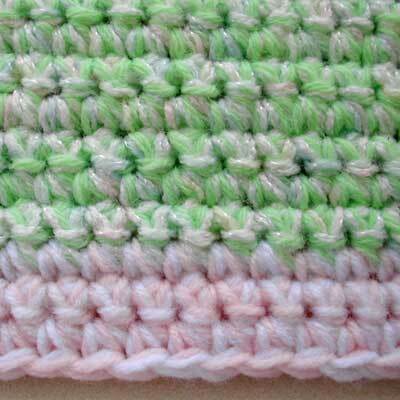 Edging: two strands held together–RH Super Saver 724 Baby Pink and a worsted-weight white, brand unknown. 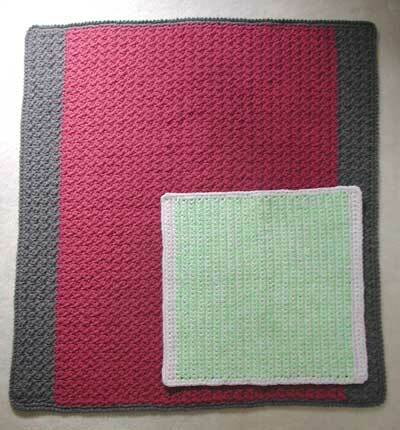 Beautiful blankies, Donna! 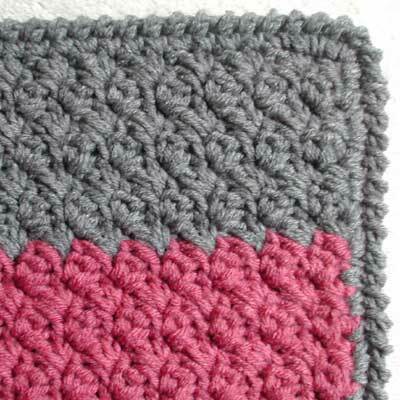 :) I love the rose critter blankie’s color combination. 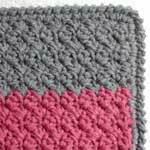 I’ve had my blog for about a year now and have finally decided to add a button on my site. Problem is, where does one start? I love your buttons, you definitely have a real flair. Any tips to get started? :-) cheers.